Who doesn't love great smelling candles? I'm all for candles, especially if they can make my house smell like the holidays all year long! 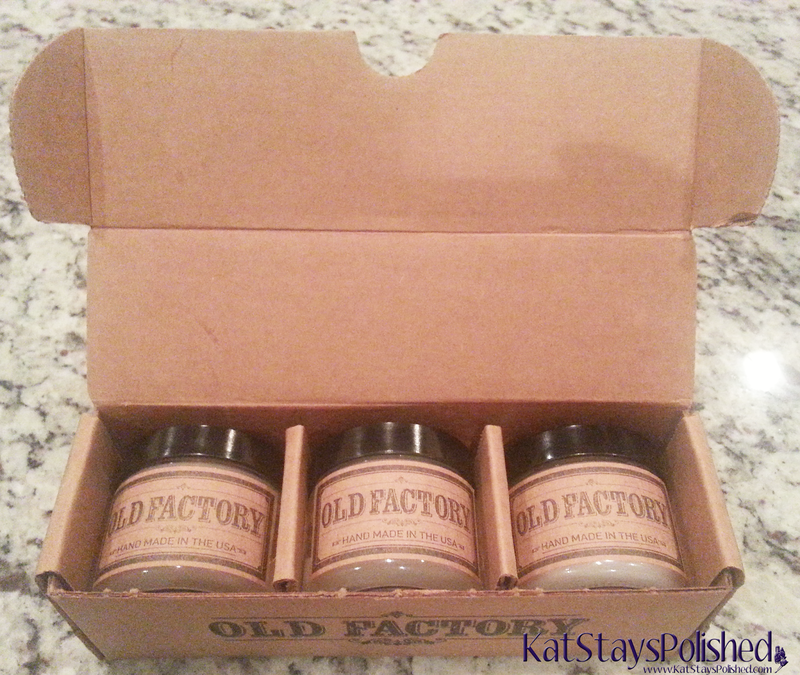 Here I have the Happy Holidays candle set from Old Factory. They are natural soy candles that are hand-poured to perfection. 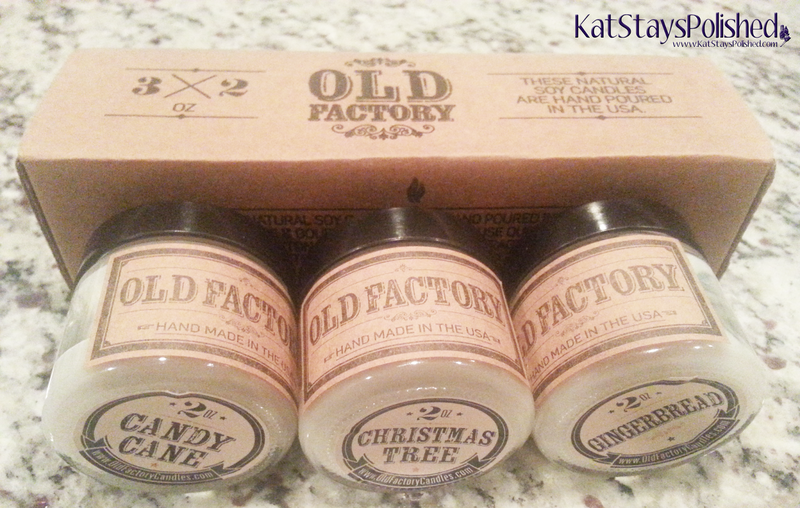 The scents included in this set are Candy Cane, Christmas Tree, and Gingerbread. Now tell me, which one of these do you think could be your favorite? The first one I lit was Gingerbread. Oh man was that delicious smelling. It lasted for a couple of days burning on average 4-5 hours each day. It gets a small room smelling awesome in about 30 minutes. I had it burning downstairs in the open and I could only smell the candle within a small radius of it. Still, it was extremely pleasant. The last two scents are just as amazing. Candy Cane smells like...well, a candy cane of course! It's refreshing and minty - perfect for any time of the year to revitalize any room. Christmas Tree has a familiar pine scent. I absolutely love anything with this type of scent. We didn't have a Christmas tree this year because we were too busy getting ready for the baby but I sure could have fooled anyone with the scent of this candle. You can still get this set (along with many other sets) on Amazon Prime for just $25. They really do smell SO good! What a cute set for someone who loves to burn candles.